In Hooper, Masmandis and senior Vassilis Tzavaras, the Bears will lose a talented group, but head coach Kirk Everist has strong players waiting to step up in their absence. That one goal decided the seeding for the upcoming Mountain Pacific Sports Federation Championships, but the Bears were luckily able to maintain eligibility and salvage the No. 3 seed. For Cal’s sake, the squad certainly aims for a victory to dash any hope for USC and propel its own sights for success, as the Bears enter the final stretch of the season. The Bears will open their MPSF campaign Friday afternoon against LMU across the Bay on Stanford’s campus. The two squads have yet to meet this season, but recent history sides in Cal’s favor, including a 16-1 beat down last season. 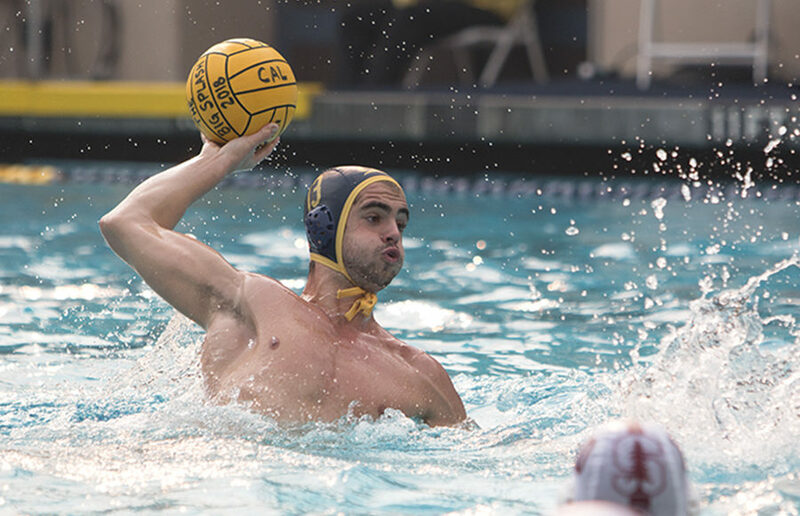 The Cal men’s water polo team, which came into the week ranked No. 4, took on another pair of nonconference opponents and went home with another pair of steady wins. No. 3 Cal men’s water polo had a weekend fleet of matches against top-10 competition this weekend, as its season goes into full swing. Although the Bears fell behind only once this weekend, the Gauchos and Anteaters both managed to keep their respective matches at narrow margins until the final buzzer.